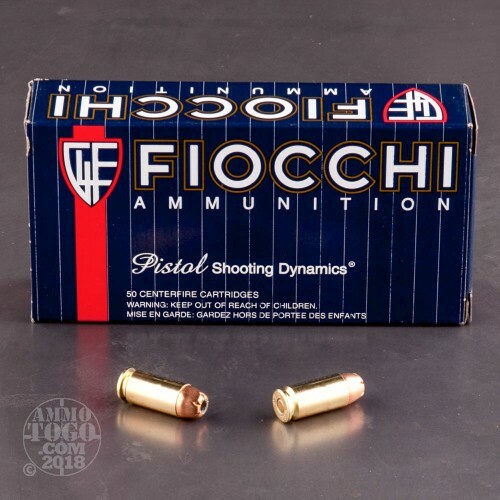 Fiocchi Shooting Dynamics is manufactured by Fiocchi Munizioni, a privately owned company headquartered in Lecco, Italy. Founded by Giulio Fiocchi, Fiocchi has been manufacturing ammunition in Ozark, Missouri since 1986 and in Europe since 1876. 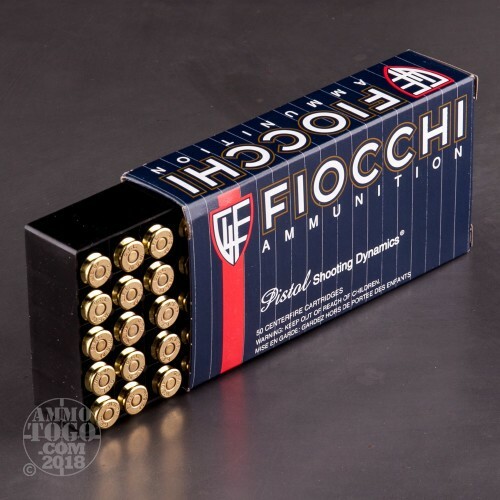 Fiocchi’s economical Shooting Dynamics line is a favorite of American shooters and seeks to create harmony between shooter, ammunition, and firearm. 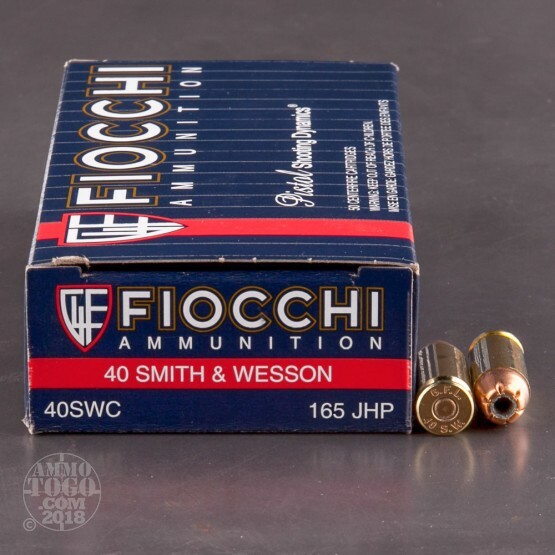 This package contains 50 rounds of Fiocchi .40 SMith & Wesson ammunition. Each cartridge is loaded with a 165 grain jacketed hollow point (JHP) projectile. 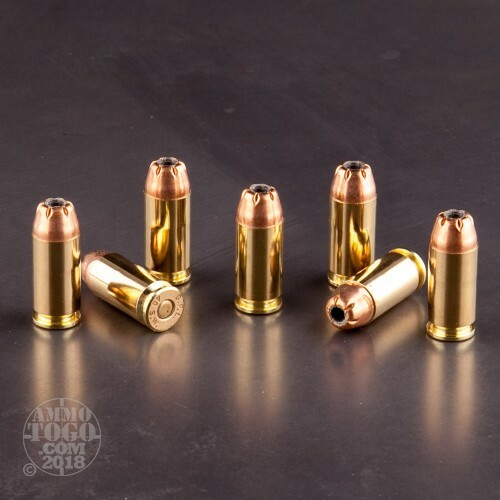 Producing excellent terminal expansion and controlled penetration, these rounds are ideal for personal protection, home defense, and concealed carry. This ammunition is factory fresh, non-corrosive, boxer primed, and features quality, reloadable brass cases. Each round produces a consistent muzzle velocity of 1100 feet per second and a muzzle energy of 443 foot pounds.